Another important part of the service module for the Orion spacecraft is getting ready for testing. 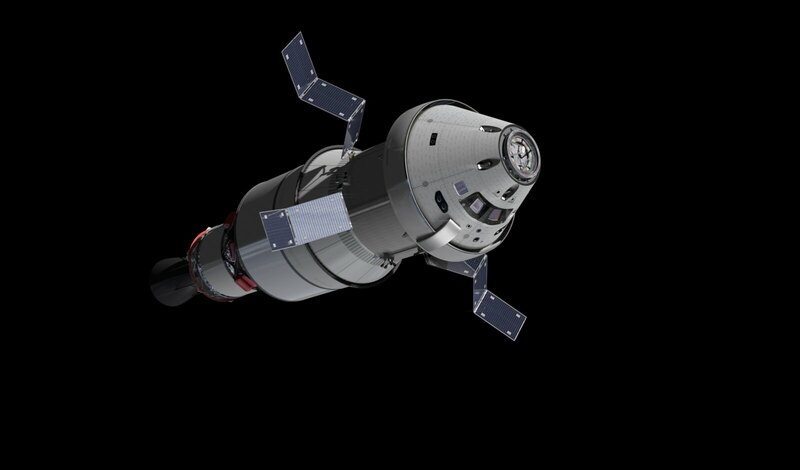 The Propulsion Qualification Module will ensure that Orion’s thrusters and fuel system work, used to orient the spacecraft and send it back to Earth. 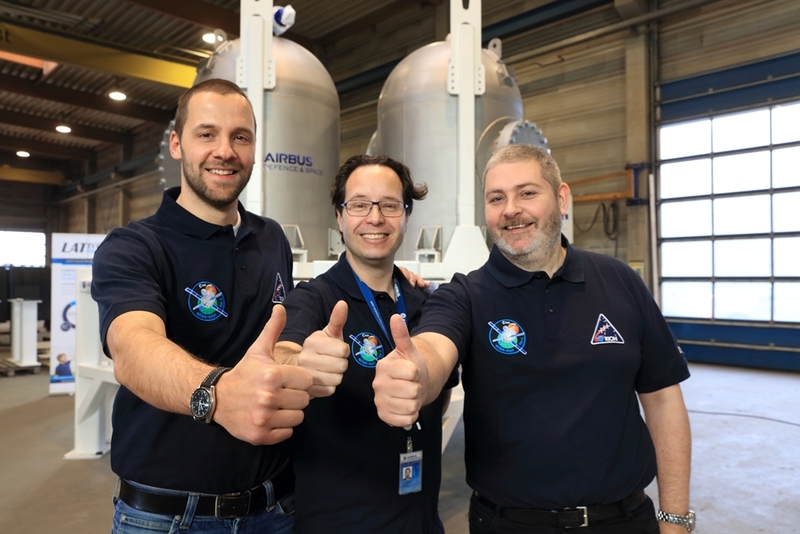 OHB Sweden and Airbus DS will do the final integration of this part of the spacecraft test module in Stockholm, Sweden. The pictures show the distinctive fuel tanks that will hold mixed oxides of nitrogen (MON) and monomethyl hydrazine (MMH) – two tanks for each propellant. 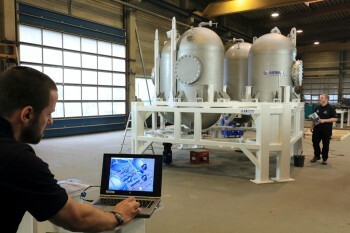 The tanks were built in Bremen and delivered to Sweden to be put in the Propulsion Qualification Module. 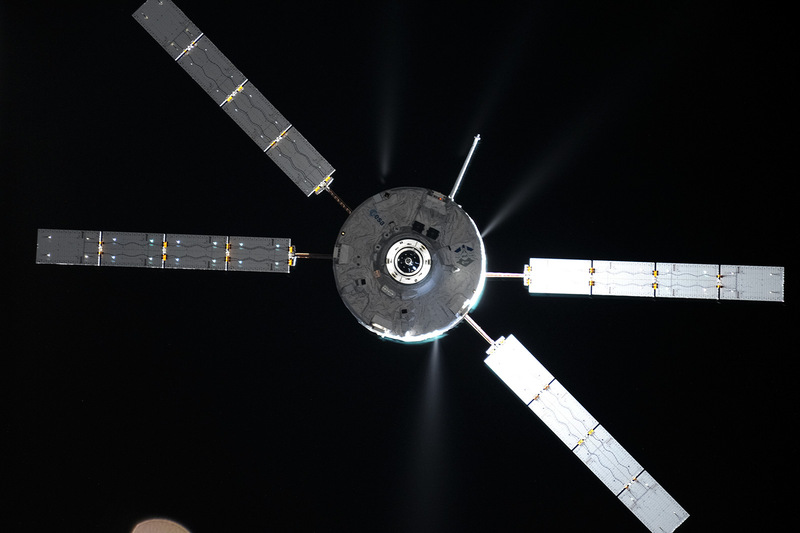 The qualification module will be shipped to NASA’s White Sands test facility in the USA this summer with the engines being fired up for firsts in September. Meanwhile in Switzerland RUAG, delivered the Solar Array Drive Electronics unit is now available for testing. The qualification model Solar Array is also complete, built by Airbus DS in The Netherlands. 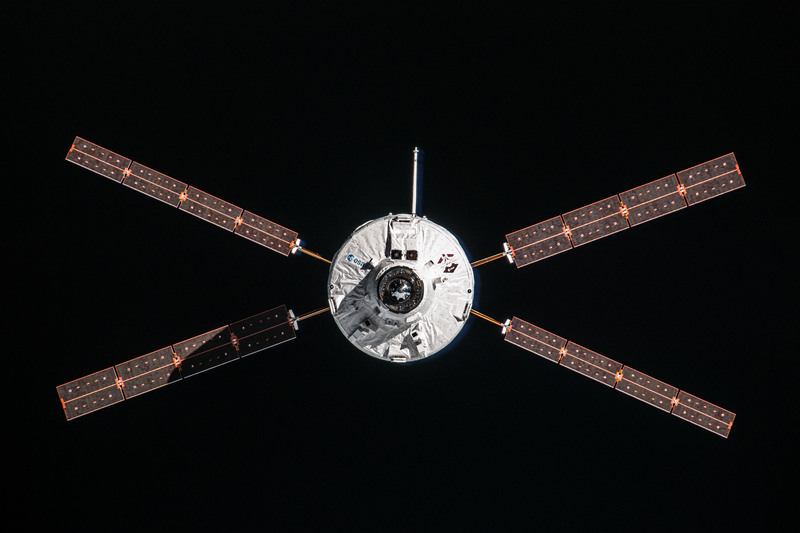 ESA’s Service Module is a true collaboration involving companies from all over Europe with Airbus DS as main contractor.